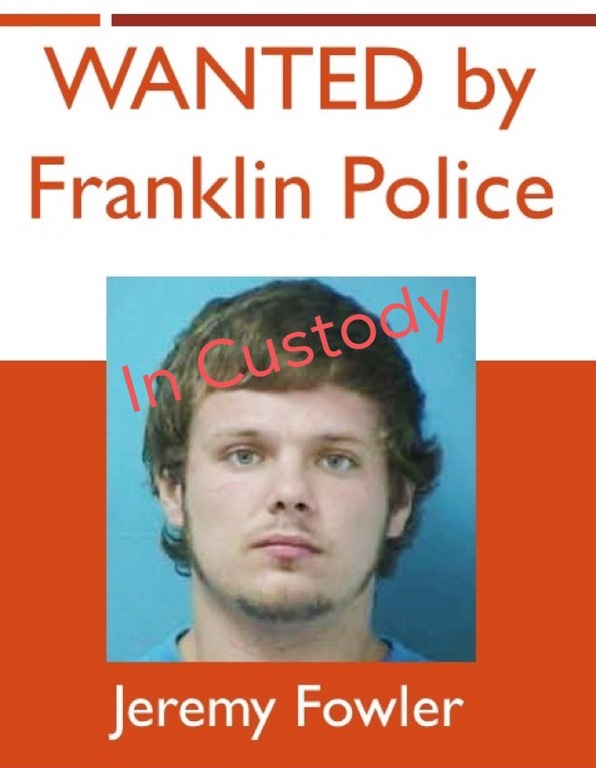 Franklin Police are looking for a suspect who fled from officers last night. At 5:30 Sunday night, 21-year-old Jeremy Fowler ran from an officer attempting to pull him over for a seatbelt violation. Fowler, who is known to officers, bailed out of the car he was driving on West Main near Roberts and fled on foot. Fowler, who remains at large, is now wanted for Driving on a Revoked License, Resisting Stop/Halt/Frisk, Disobeying a Stop Sign, and Failure to Wear a Seatbelt. Information on his whereabouts is worth up to $1,000 with an anonymous call to Crime Stoppers. Do you know where Jeremy Fowler is?